Find out more about the company’s design work and services at www.mariposagardening.com. Since 2005, Mariposa Gardening & Design has been inspiring gardeners with beautiful and ecologically sustainable gardens. 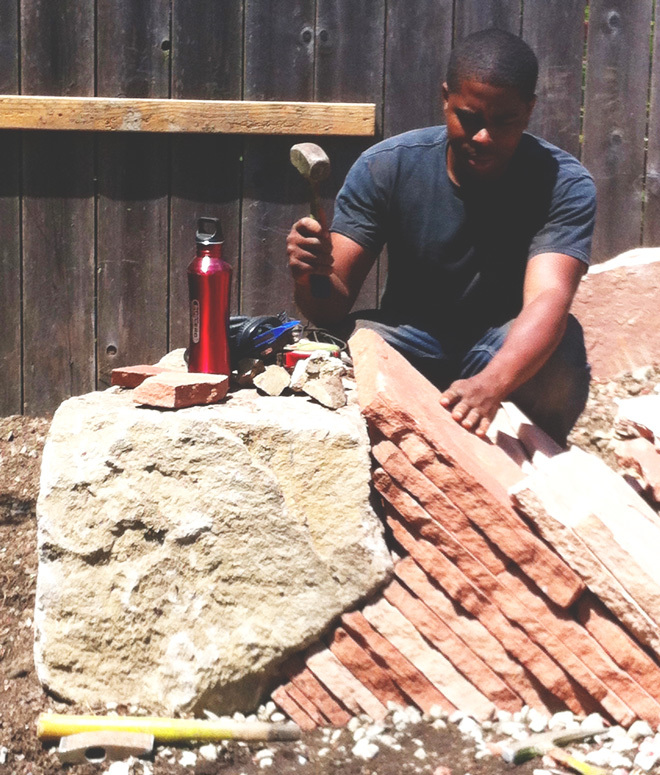 Now, leading by example, the company is working to bring social change to the landscaping industry as it becomes a worker-owned cooperative that helps the planet and supports its community. I grew up in rural Oregon during the 1970s and 1980s in a small town nestled between Portland and the Oregon Coast Range. Many of my friends lived on farms. We used to ride horses, build forts out of hay bales in barns, and play games of fantasy and imagination in the woods. Almost everyone we knew grew at least a portion of their own food. Our home was close to town on an acre of land that was filled with fruit trees, berries, grapes, and a large vegetable garden, as well as a lawn, roses, and ornamental flower beds. Every Saturday my mother assigned garden chores. My brother and I were obligated to four hours of gardening to earn the freedom to rest and play for the remainder of the weekend. Spending endless hours playing outdoors and doing those weekly gardening chores was good training for my career. For more than 25 years, I have been a gardener, a gardening educator, a farmer, a landscape contractor, and a garden designer. During this time, I’ve developed a unique style and a commitment to building ecologically sound landscapes. Aside from short stints when I taught gardening at various nonprofit organizations, for most of this time I have been a sole proprietor. My career has been rewarding and it’s allowed me to do work that I love and maintain my independence while I raised my children alongside me. 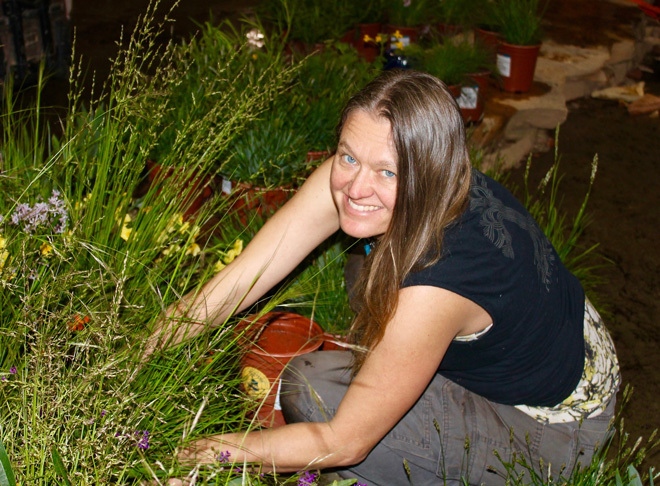 In 2005, with just a truck and a dream, I established Mariposa Gardening & Design, a small design/build landscaping business rooted in ecological principles. I earned my landscape contractor’s license in 2006, and believed I was on my way to successfully building a larger company. We were doing well and growing steadily until the economic downturn in 2007. With help from a tremendous team of administrative and field staff, Mariposa held on. What’s more, between 2008 and 2014 our company received seven medals and two awards at the San Francisco Flower & Garden Show. Our work was acclaimed for innovative designs that focused on building habitat for pollinators and birds, harvesting and conserving water in the garden, and attention to art and beauty. This recognition helped us stay afloat during hard times and build an audience of like-minded clients and other gardeners. 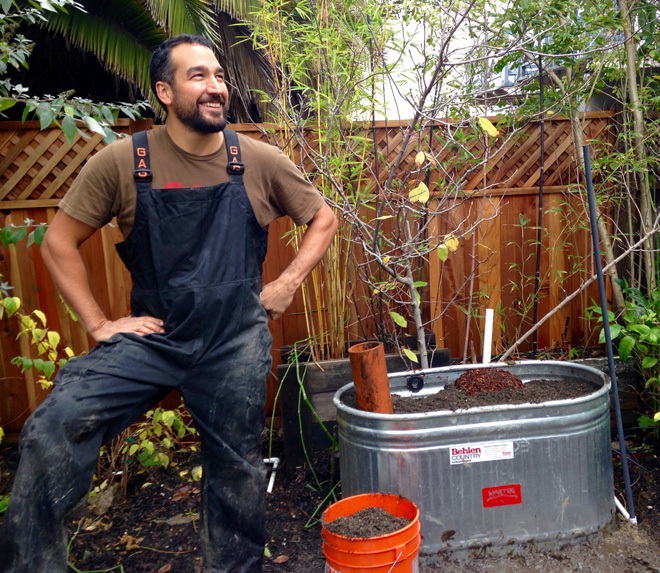 Today, Mariposa is a team of 10 that designs, builds, and maintains gardens throughout the San Francisco Bay Area. 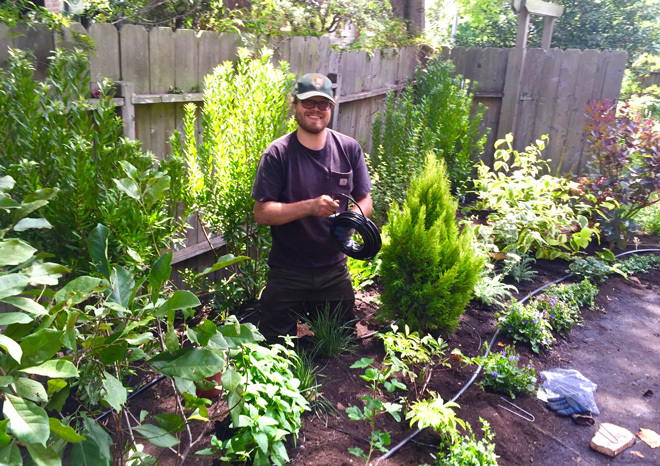 We are dedicated to creating wildlife habitat in the urban environment, committed to rethinking water use and following sustainable practices, and we’re passionate about making beautiful gardens. Growing a small landscaping business from two or three people to a company employing more than 10 has been difficult. As a woman with economic challenges, it felt next to impossible at times. I encountered roadblocks that seemed designed to allow only the privileged on the path to growing and becoming a more profitable company. I began looking for an alternative business model and chose a cooperative structure. Cooperative businesses generate revenue for a group of people who share the responsibility of building the company together. A cooperative governing structure allows all members to have a say in how the business is run and provides an equitable distribution of the company’s profits. In addition to creating beautiful, healthy gardens, as a worker-owned cooperative, Mariposa can build a healthy social structure—a giving economy. Our clients, our co-workers, and the planet are at the heart of our mission. At Mariposa Gardening & Design Cooperative, we keep the margin between the lowest and the highest paid workers low. We have both owners and employees, but the wage gap stays small and everyone feels valued. Ownership is gained by demonstrating a commitment to the goals and ideals of the company and a desire to participate in its governance. We make decisions and determine the direction of the company at monthly board meetings and in committee work. Today, Mariposa continues to provide high quality, artistic landscaping with myriad ecological benefits. We are diversifying and working toward building more avenues for revenue that are aligned with our mission. Inspired by the work of our newest member/owners, this spring we are introducing our Farmscaping service. Mariposa Farmscapes will transform a front lawn or a neglected back yard into a food-producing garden. Land is limited in urban areas, and growing enough food to supply a farm stand or restaurant is difficult. However, with Farmscaping, we can take a small plot here and there and put them together to grow enough food to supply several stores, restaurants, and farmers markets. The Mariposa Farmscaping program provides business ownership opportunities for youth and people who are traditionally marginalized by the agriculture industry. Homeowners who choose to work with our Farmscaping program are contributing to a local food system by allowing access to their land for the good of the community. They also have their garden tended for free and every week during the growing season they receive a basket of fresh produce harvested from their garden. Transitioning from being a sole proprietor to a worker-owned cooperative hasn’t been easy. There have been many obstacles, personality differences, and conflicts. But this feels like the right thing to do. Mariposa Gardening & Design Cooperative wants to build a company that promotes economic stability for everyone during a time when many on the margins of our society feel uncertain about political and economic change.